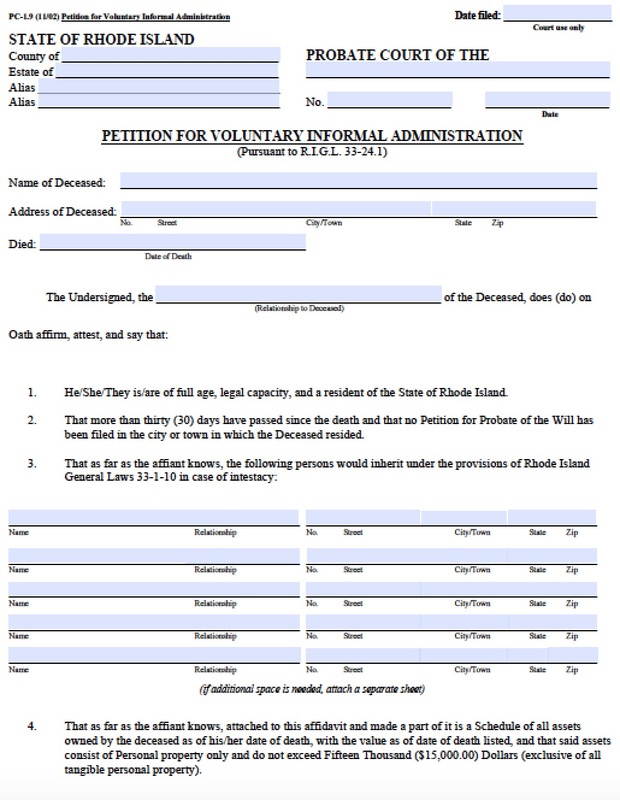 In Rhode Island, one of the successors who files the affidavit of heirship must also file to become the voluntary administrator or executor of the decedent’s estate. 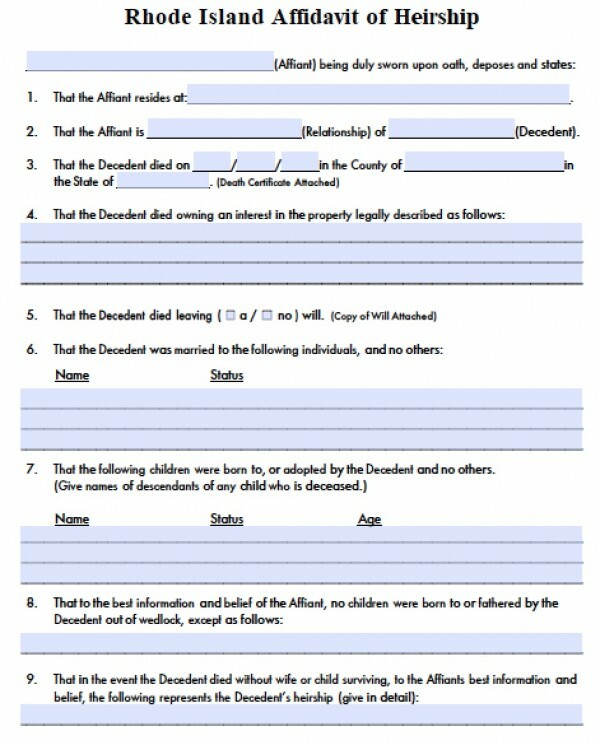 This person is responsible for submitting an inventory of the property, pay debts and expenses of the deceased (such as medical expenses or funeral bills), and safeguard the property and assets before the real property is divided up among the decedent’s heirs. 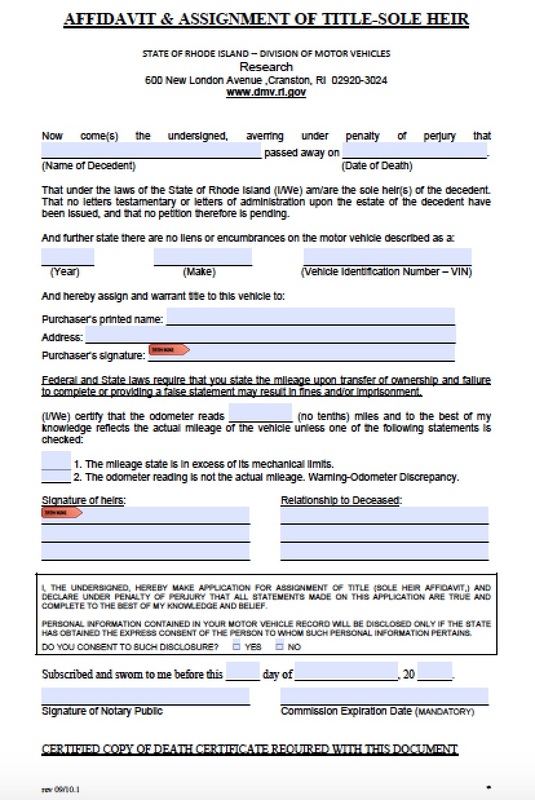 Title 33, § 33-24-1 of Rhode Island law governs the voluntary administrator position, and determines that the affidavit of heirship allows successors to claim small estates valued up to $15,000.